I find it weird sometimes to be on the computer so often, when all I really want to do is be outside amongst the dirt and bugs. What the computer allows for is creativity in a limitless digital space, in some ways more appealing than the physical alternative. 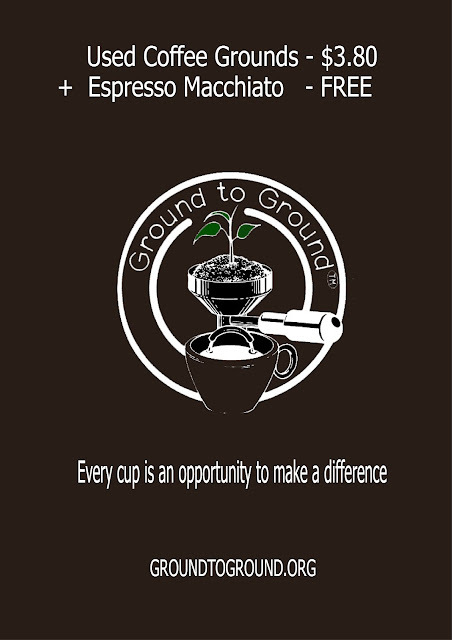 So on behalf of speciality software and a couple of hours, I present to you the first set of Ground to Ground Coffee Shop Posters! Not too hard to come up with this one. 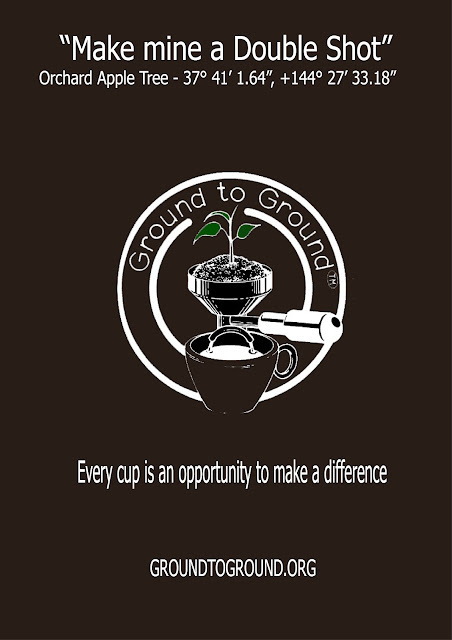 Coffee Grounds – Stay Grounded… get it? Was there a movie by the name of ‘Who Dares Wins’ or ‘Death Before Dishonour’? That might have been the inspiration behind this one. Or it could have been some 80’s fitness tape – No pain, no gain. Or was it ‘No Guts, No Glory’. Mmmm, hard to say really. 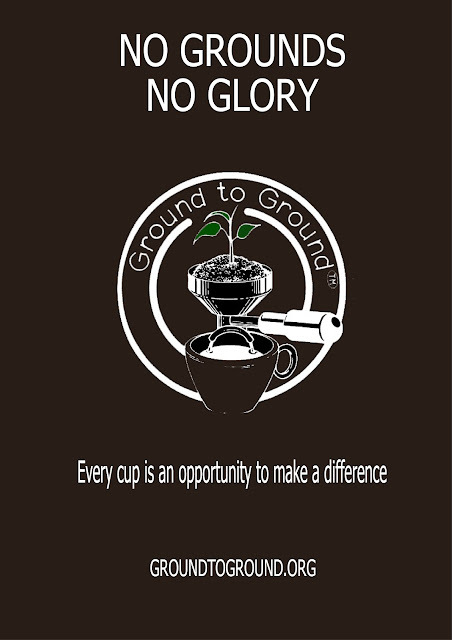 Poster 3 – Pay for the Coffee Grounds but the drink is free! 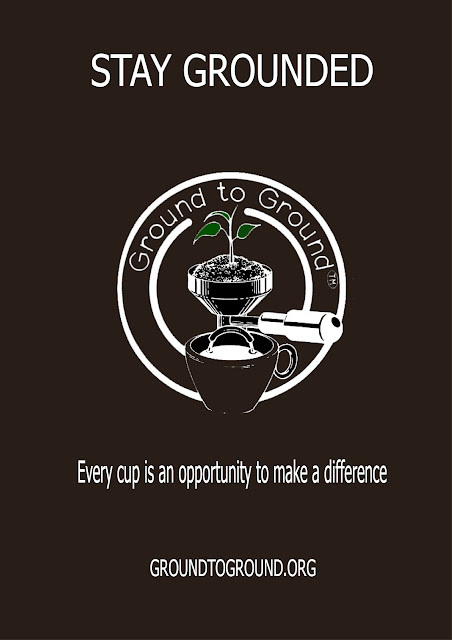 What if you paid for the bag of used coffee grounds and got a free coffee, rather than the other way around? The difference between ‘waste’ and ‘resource’ comes down to our own preconditioned perceptions, which is why I really like this one. Poster 4 – Make mine a double shot! Now I have the plants doing the speaking. The coordinates really do point to an orchard Apple tree. Poster 5 – None on the flowers idiot! And where would we be without a pumpkin – and this is how it would talk if it could. Grumpy all the way! I hope you have found appeal in one or more of these posters. Let me know your thoughts, including suggestions for the next set. 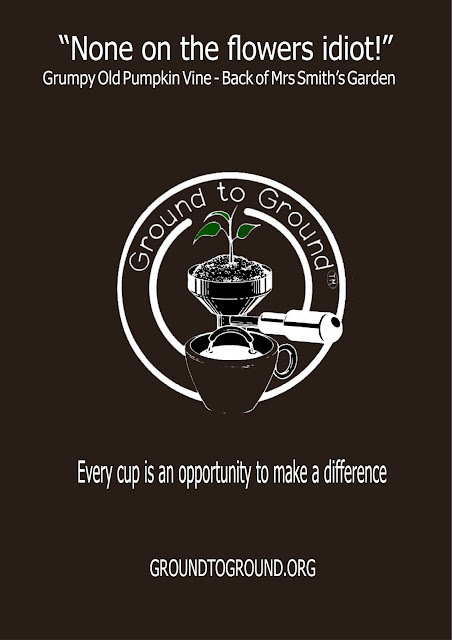 Tags: cafe, coffee grounds, coffee shop, Poster. Bookmark the permalink. Lovely posters thank you. Printing up a couple now. Thanks Tara, hope you find them as inspiring as others have. Earthworms about to enjoy a Turkish blend. Nice one Gilli! If you don’t mind I’m going to use that one. Just saw your story in the leader newspaper! Keep going with it. Cheers Joan – sure will. Got plenty more where that came from Ross! Glad you liked it. Love it Shane! Just printed off the pumpkin one and will get it laminated before I hang it. Wow that is great to read Sam, thanks mate.